Once quiet, Kathmandu is honking again! 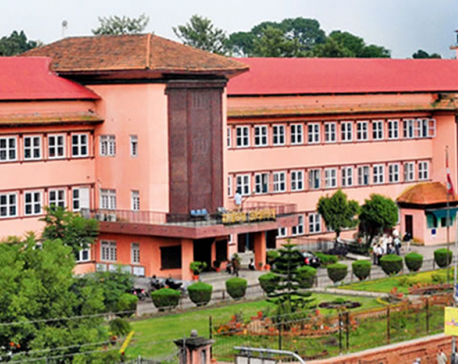 KATHMANDU, June 6: The government launched a massive drive on April 14, 2017 to make Kathmandu Valley less noisy, clamping a blanket ban on vehicle honking. Traffic police were given the powers to fine offenders up to Rs 500 if found blowing their horn without reason. The ban was much lauded and almost everyone observed it. The Valley cities became less noisy and the blaring of horns seemed to be a thing of the past. However, a year later, they are all blowing their horns again just like before. Ram Bahadur Thapa, a Valley local, says, “Even with the ban on honking many people are forced to honk because road traffic is so bad. I have been driving for over 40 years and I don't honk until it is absolutely necessary.” Some motorists say pedestrians don't use the sidewalks and zebra crossings and so honking becomes necessary. However, data compiled by traffic police shows a decline in use of horns: 3,700 people were fined in April and 1,236 in May this year for honking. Valley residents are also aware of the increase in honking. Prakash Shrestha, another local, said, “Vehicle drivers have started honking again. Pressure horns should not be allowed because many people suffer from heart conditions and the noise of such horns can be deadly for them.” He says there must be stricter enforcement of the rule. Some drivers see no change in the honking phenomenon. Gopal Basnet, who drives a microbus, says that there has been “no change in the honking pattern since the ban”. 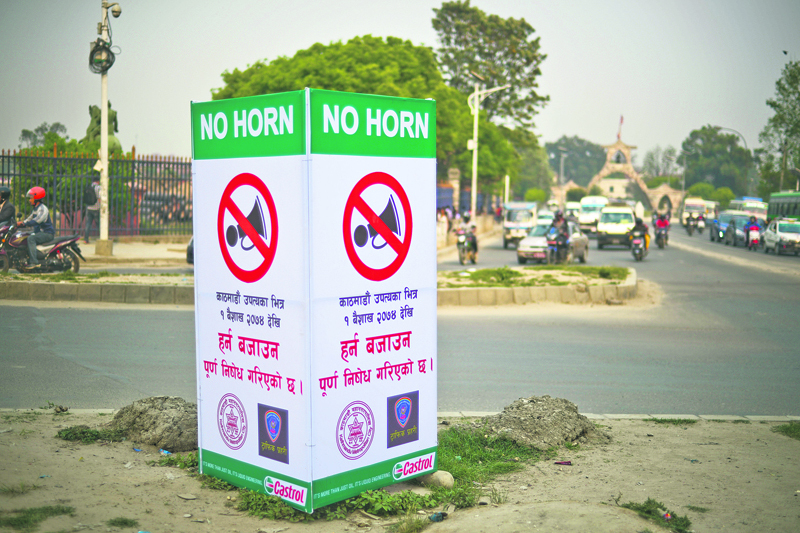 Basnet says that he does not honk unnecessarily and especially in school and hospital areas. Some people cite rude gestures, aggressive driving and poor lane discipline as the reasons for increased honking. Sher Bahadur Thapa, another microbus driver, says that due to the bad road conditions in the Valley it is impossible not to honk. He also faults the lack of proper traffic lights . According to metropolitan traffic police chief SSP Basanta Pant, “The noise level should not exceed 75-85 decibels outdoors, and over 100 decibels is harmful to the human ear.” He says drivers are fined if caught honking unnecessarily although traffic police make exceptions . However, data compiled by traffic police shows a decline in use of horns: 3,700 people were fined in April and 1,236 in May this year for honking. Last year, the metropolitan traffic office collected Rs 15,500,000 in fines for honking. SSP Pant adds that “people from outside of the Valley who drive here are not aware of the no honking rule, but they are catching on.” He claims there has been no drastic increase in noise pollution. KATHMANDU, Nov 4: Indian President Pranab Mukherjee has described Kathmandu as a spiritual center for the people of South Asian region.